Former Florida Gov. 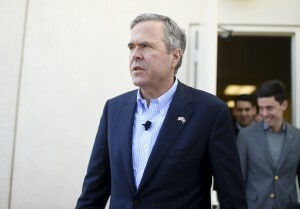 Jeb Bush says he is ending his bid for the White House. A teary-eyed Bush says he’s proud of the campaign he ran to unify the country and advocate conservative solutions. The son and brother of former presidents George H.W. Bush and George W. Bush entered the race to huge expectations in June, and quickly fueled them with fundraising. But he quickly slid in the polls behind some of his more outspoken Republican rivals such as billionaire businessman Donald Trump and Texas Sen. Ted Cruz, who have billed themselves as anti-establishment alternatives to the early front-runner. Following disappointing performances in both Iowa and New Hampshire, Bush pinned his hopes on South Carolina, a state where the Bush name has maintained some clout. But Bush was unable to break into the top three in South Carolina. He would likely have faced pressure from GOP leaders and donors to drop out had he stayed in the race.